How to make technology which takes care of the people who use it. Mindfulness teaches us that the quality and nature of our attention has a direct impact on our wellbeing. Many of the interactions we have with technology every day involve our attention. Our wellbeing is therefore being affected by those attention-based products we use. Some companies simply do not understand the impact their products have on the minds of the people who use them. Other companies may deliberately use this knowledge to trap our attention and farm it for commercial gain. As a result, they have little care for the impact their products might have on the people who use them. 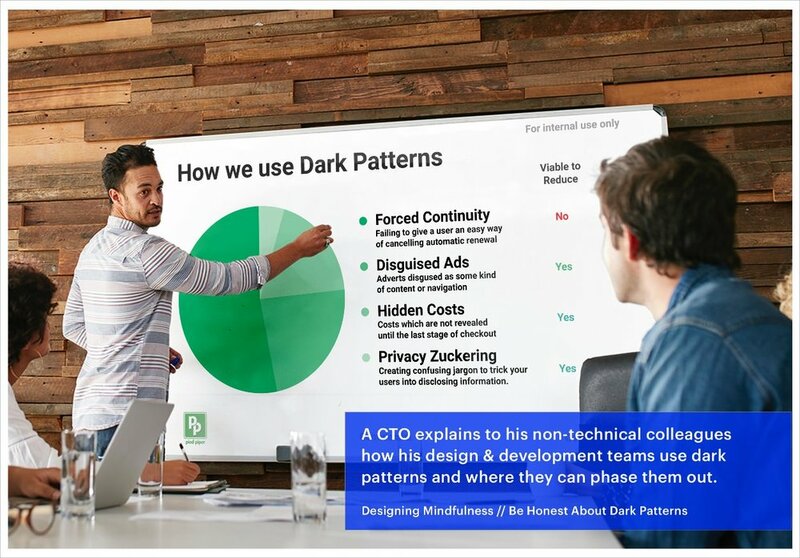 There are certain measures that users can take to minimize the negative impact on mental wellbeing, but makers of products must also take responsibility. If a product is deliberately designed to be addictive, is it then fair to blame the user once they become addicted? Designing Mindfulness is a manifesto from Mindfulness Everywhere. 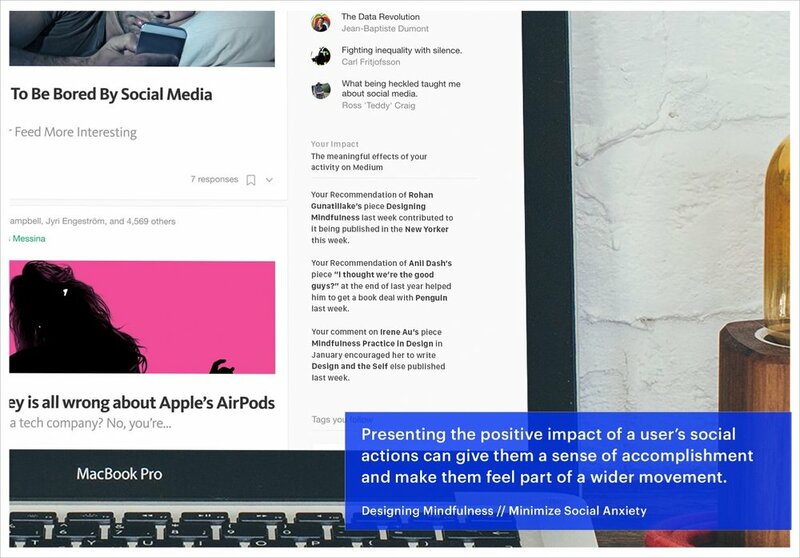 It is a result of us asking the question - how can we build the ideas and practices of mindfulness into technology so that the attention and wellbeing of the people who use it is best supported? 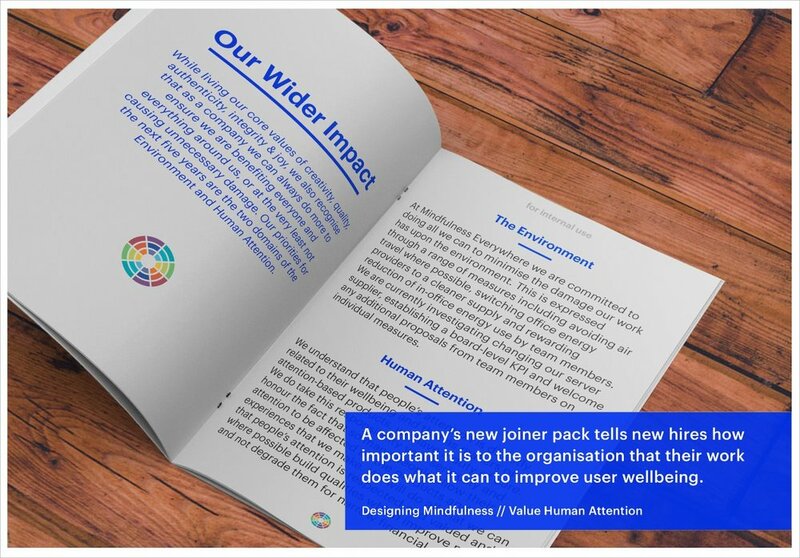 Nine actions to help your product support wellbeing, not degrade it. Recognize that any attention-based product impacts wellbeing. Stop tricking your users, and make it easier for them to make their own choices. Develop sustainable modes of communication between your products and users. Focus on producing and encouraging high quality, distraction-free content. Stop cultivating FOMO as a way to establish and maintain unhealthy addictions. 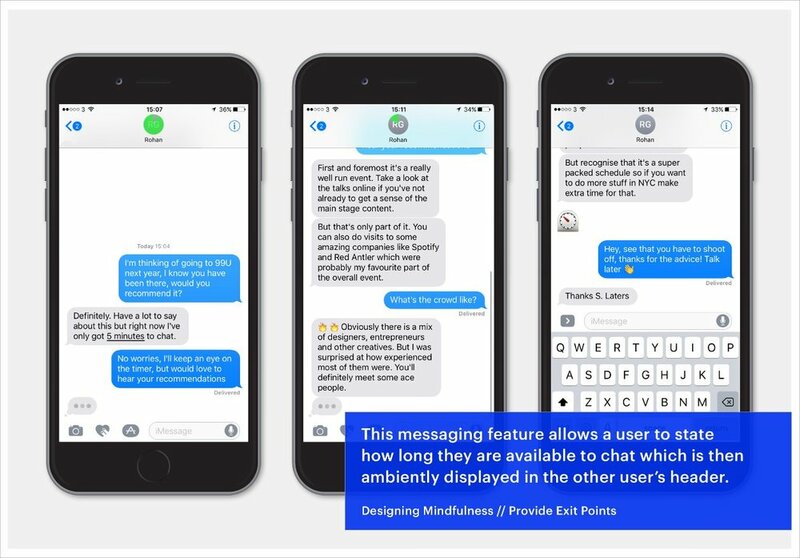 Promote a calm experience by providing a sense of completion and giving users an option to disengage. Create ways of measuring success which incorporate more than just the bottom line. Let every part of the organisation play a role in supporting wellbeing. Examples of what these principles could look like in practice. Alongside the principles & concept designs, there is also a more extensive project introduction, a framework of models used and detailed documentation of the overall project to date. Designing Mindfulness is a project of Mindfulness Everywhere. Work with us to apply these principles to the realities of your product. Meet the team and find out how.